Windows Server 2019 integrates with Project Honolulu to provide a flexible, lightweight platform for hybrid cloud scenarios. The overall goal is to make it simpler for users to connect existing deployments of Windows Server to Azure services. So with the new server, you’ll be able to easily integrate Azure services including Azure Backup, Azure File Sync, and disaster recovery without disrupting any of your applications or infrastructure. The new security features in Windows Server 2019 focus on three key areas — protect, detect, and respond. When it comes to protecting, the server includes Shielded VMs, which were also part of Windows Server 2016. But in the new version, Shielded VMs will also support Linux VMs. And VMConnect will be extended to improve troubleshooting of Shielded VMs. When it comes to detecting and responding, the server will have Windows Defender Advanced Threat Protection embedded into the operating system. This will provide preventative protection, detect attacks, and provide other security against various threats. As far as the developer experience is concerned, Windows Server 2019 is supposed to help with modernizing existing applications using containers by reducing the Server Core base container image to a third of its current size. This change can reduce download time of images by up to 72 percent, potentially optimizing development time and performance significantly. In addition, Kubernetes support for the server is currently in beta. And upon the release, Microsoft plans on introducing significant improvements to various components of a Kubernetes cluster, including compute, storage, and networking. Finally, Microsoft is working to simplify the experience of navigating environments with Linux and Windows deployments by helping Linux users bring their scripts into Windows using industry standards like OpenSSH, Curl, and Tar. Windows Server 2016 already included industry-leading hardware vendors so that customers could access robust HCI solutions. Windows Server 2019 takes that same idea and just adds some extra scale, performance, and reliability. Users will also have the ability to manage HCI deployments using Project Honolulu. 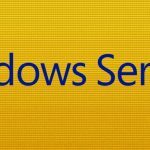 Before Windows Server 2019 becomes generally available later this year, you can access a preview version through the Windows Insider program. You can sign up on the company’s website if you aren’t already enrolled. The company will also be relying on feedback from the Insiders program to work out the final bugs and kinks before releasing the public version. What is up with companies reliesing products with a YEAR on them before that YEAR is here? It started with cars! and now MS thinks it can follow!! This is misleading since it WASN'T released in that year! use the (year month) numbers or something similar to the Windows 10 updates at least it will be accurate!